Meeti Shroff-Shah is a copywriter, travel writer and a first-rate Taboo player. When she isn’t busy writing ads that make toothpaste sound like an aphrodisiac, Meeti writes personal essays and travel stories. Her work has been published in The Wall Street Journal, National Geographic Society’s Glimpse, The Jade magazine and the Mint Lounge. Her book, Do You Know Any Good Boys? A Woman’s Guide to the Arranged Marriage – is the hilarious account of how she braved the traumatic process of the Indian arranged marriage, to finally meet the man she would marry. Meeti has dipped her feet in the Ganges, the Nile, the Bosphorus, the Amazon, the Mediterranean Sea and the Indian Ocean. She lives with her husband (yes, the same one whom she took such pains to find) and daughter in Mumbai. Last modified on 2018-10-09 11:09:06 GMT. 0 comments. Top. If I were a little kid, this could be the moment I flung a toy car at his face. When Meeti Shroff-Shah recruited her parents to find her a husband, she didn’t think she’d have to meet more than forty men before she was married. As she waded through biodatas, signed up on matrimonial sites, frequented astrologers, dealt with meddling aunties and made her way through the terrifying arranged-marriage jungle, she discovered within herself a rare kind of perseverance and the very vital ability to laugh at most things. 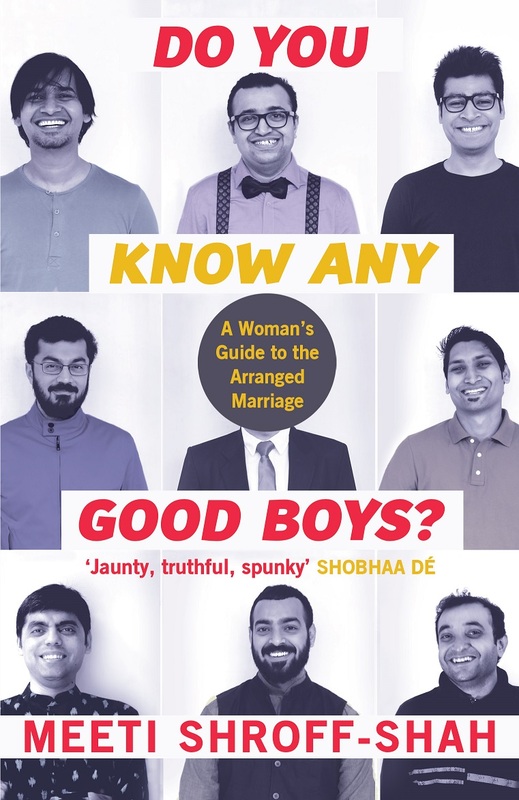 In her outrageously funny book, Do You Know Any Good Boys?, Meeti guides the reader step by step, latte by latte, on how to brave the process of the modern Indian arranged marriage and emerge triumphant, with spirit intact and ring finger appropriately bedecked.